With the official announcement of the new version of Windows aimed at educational customers, Windows 10 S, Microsoft also announced that finally the Office applications would arrive at the Store. Since this version of the system will only support applications that are there, it makes all the sense of the world that Office is part of the launch. Word, Excel, PowerPoint, Outlook, Access and Publisher will appear officially in the Windows Store from June 15, 2017, coinciding with the arrival of the first Surface Laptops, the first Microsoft laptops with Windows 10 S.
Now, the process of installing and updating the Office applications in the Windows Store is in preview . Only those with a dispotivo Surface with Windows 10 S will be able to obtain the Office apps for the moment. When the preview period ends, the apps can be installed on other Windows 10 devices. What is the difference between Office in the Windows Store and the Office package for the existing desktop? First, from the Store you can only install the 32 bit versions of Office . You will not be able to use COM add-ins, and OneNote will be installed instead of OneNote 2016 for the desktop. Also, as it is in preview, Microsoft warns that Office could “behave unexpectedly”. 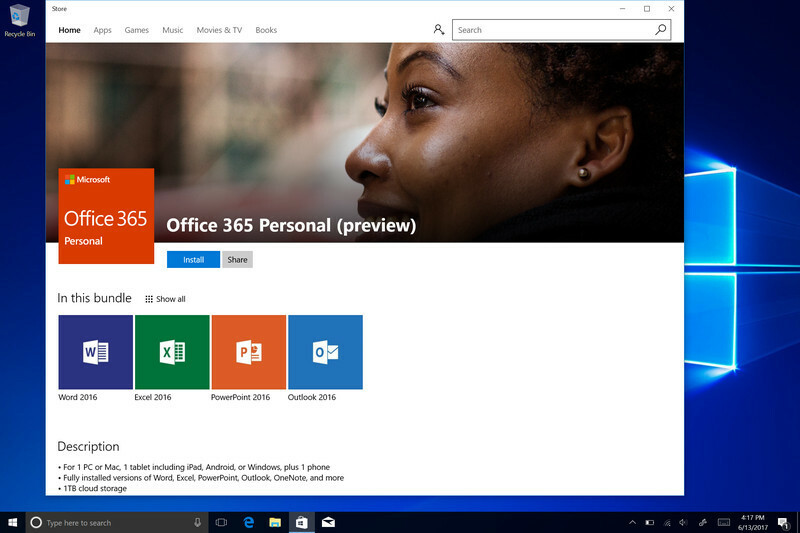 At the moment all Surface with Windows 10 S that are sold during the preview period will have 1 free year of Office 365 Personal. Word, Excel and PowerPoint are available to everyone, but Outlook, Access and Publisher are not available in preview for Office 365 educational plans. During this trial period, Office will be available in all markets supported by the Windows Store.